Almost two decades since the original Alien Syndrome title was released by SEGA, the title has made an innovative comeback on the Wii. The original title featured a top-view arcade game where the gamer was transformed into the Ripley-esq hero called Aileen Harding who virtually blasted away a hoard of aliens into their next life. Needless to say, the title was quite revolutionary at the time and if Hollywood can remake movies, why can't game developers. 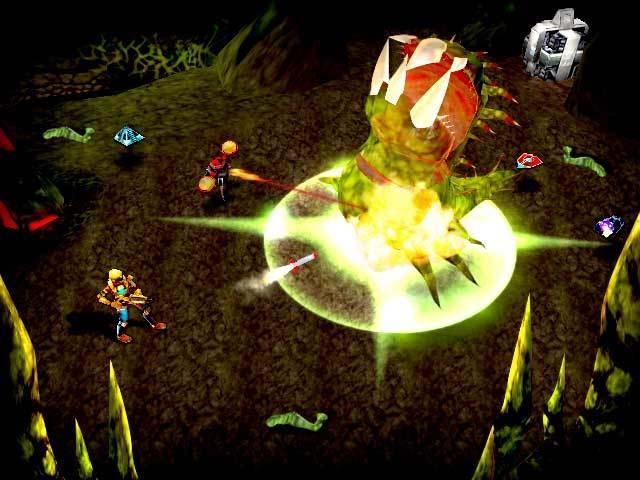 High quality sci-fi action-RPG gameplay for the Wii: Alien Syndrome combines the intensity of a fast-paced, action-packed sci-fi shooter gameplay, with the depth and customization of an RPG. Frenetic single-player and multiplayer modes are packed with over 100 enemies, 15 sub-bosses and five main bosses to fight, using 80 weapons and hundreds of armor types and bonus items. In-depth gameplay: Explore 15 intricate levels and take on multiple side quests – 20+ hours of action-packed adventure. Completely customize your character to expand in-game strategy options: Choose from several character classes, each with their own strengths and weaknesses. Upgrade your character stats as she grows in experience, accessing a host of new abilities and game features. Your loyal robot assistant also fights alongside you, exchanging and improving your weapons and armor at any time. Fight in the single player campaign mode or in four-player cooperative mode: Venture solo through an expansive and varied sci-fi world, or battle along side up to four friends in Co-op Mode. Inspired by the original SEGA arcade shooter: The latest classic SEGA brand to be reborn with an improved and innovative new design! Unique precision targeting gameplay utilizing the Wii controller. Discover a whole different immersive way to play an action-RPG, utilizing the Wii remote and nunchuck to simultaneously aim, shoot and move your character. 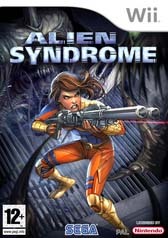 Alien Syndrome on the Wii features four player single-screen co-op, exclusive Wii specific mini-games, Wii remote and Nunchuk specific control scheme, and Wii-quality graphics and audio. The story of Alien Syndrome is classic 1980's story telling and for the gamer begins on an abandoned spaceship where our soldier and hero, Alien Harding is searching for survivors. Ironically not much has changed since its original incarnation and in its essence Alien Syndrome is your classic alien dungeon crawler RPG that gives the player a variety of different classes and weapon types that include melee, explosives, flamethrowers, projectile and lasters. The gameplay of Alien Syndrome is hard paced and throws in a plethora of enemies which is reminiscent of game such as the original Gauntlet and Diablo. The control system is extremely responsive on the Wii and even though the gameplay does become quite repetitive at the best of times, the various classes and weapons available helps break the tedium of the game. In a classic RPG template, the more aliens you kill, the more experience points your characters is awarded which for levelling. Once your character levels, they are awarded points to distribute to your statistics and proficiency slots. Although your class determines your starting statistics and proficiencies, it is up to the player to remold the character into his or her perfect character. Aileen is also accompanied by a robotic companion called the SCARAB, with which you can scrap the junk loot you acquire. The SCARAB can use these to create new equipment and ammo for you. The control system on the Wii is quite innovative, the analog stick on the Nunchaku moves your character with the B and A buttons are used to fire your primary and secondary weapons. By pressing down on the control pad, melee mode is activated, which causes the aiming reticle to disappear but enables a number of new motions. Simple combo attacks can be performed with the B button, while slashing sideways with the Wii remote triggers a more powerful attack. Slashing downwards performs a hammer blow, thrusting forward stabs in front of you, and spinning the remote in a circle causes a powerful spinning attack. If an enemy is near death, signaled by a ring glowing around it, raising the Wii remote and Nunchaku up and then bringing them down will cause a powerful finisher that restores health. While melee combat offers a lot of options, the controls are not nearly as intuitive or as responsive as those for ranged weapons. Also, because hordes of enemies will often be coming at you seemingly nonstop, being able to beat them back from a distance offers significant tactical advantages as well. The weapons available to ranged combat are also more varied and distinct, leaving melee better as a last resort, should you run out of ammo. 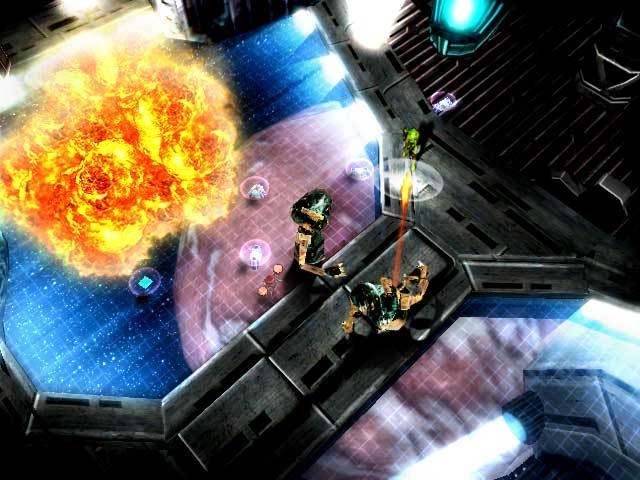 Graphically Alien Syndrome is quite basic on the Wii with its lackluster gaming environments, although there are a few cool special effects here and there. With this in mind, the title is oozing with 80's glory but then again, that should be no excuse. The soundtrack also goes hand in hand with the graphics as are the sound effects and its a shame that Alien Syndrome did not receive a true make over which would of made this a rather cool game. In conclusion, Alien Syndrome is a fun game on the Wii that does become quite repetitive and unfortunately uninspired as you progress. Those that loved Gauntlet or Diablo will definitely enjoy this title on their Wii's and the enjoyable multiplayer aspect will bring back "coinop" memories from those old arcades. Most gamers will be able to complete this title in around 20 - 25 hours with those willing for a challenge, trying one of the more difficult levels.